For the past two weeks I've been reading this book nightly. The Rubicon is a hard book to categorise - although it is historical non fiction (has footnotes and all), Tom Holland tells the History of the Roman Republic in a compelling storytelling manner. The Rubicon (the first of Tom Hollands Historical books) can be summed up as 'Truth is stranger than fiction' or should i say 'Truth is more entertaining than fiction'. In the first year of my undergrad degree, i did a year of 'Ancient civilisations' which focused on Rome and Greece. In all the books I've read on the subject of Rome, I think The Rubicon does an excellent job of telling the story of Rome - like a panoramic picture of its beginnings to the end - without too much (or overwhelming) detail to bog down the reader. This, i think, is the key to the success of this book - you don't have to be a scholar to comprehend and read this, and it isn't too clustered with details or differing academic opinions to leave you confused. Tom holland makes assumptions based on facts (lets you know he has) and gets back to the juicy details of the story. Definitely this book though isn't a hero worship of Caesar or Augustus but gives a warts and all view of the political horizon of Rome, and of course (as he says in his preface) focuses beyond the typical 'main players' and shows the reasoning behind it all. My only fault is that there isn't a huge focus on the most epic moments (which almost feel anti-climatic) like Caesars murder or Antony and Cleopatra's suicides. He mentions them and moves on. However it should be noted that Tom Holland makes the point in the preface that this is a book about 'Rome and its people' and i think deliberately underplays the 'most known' parts so as not to swamp the message. So to sum up, buy this book and read it! Even if history is not your cuppa, this is a reviting read! Can't wait to pick up his other two: Persian Fire and Millenium. 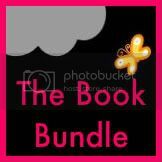 Win YA Paranormal Romance books! Just a heads up that Steph Bowe at the excellent 'Hey, teenager of the year' is running a contest for someone to win Vampire Academy, by Richelle Mead, Beautiful Creatures, by Kami Garcia & Margaret Stohl, and Intertwined, by Gena Showalter. And, if you're hesitating about following yet another blog, I can highly recommend this one. Steph might be 15, but she's soon to be published in both Australia and the USA (by Egmont), and has all kinds of useful posts for aspiring writers. Contest closes on February 1st. Before i start my review, there are some interesting things to know about 'The Poison Throne' and Moorhawke Trilogy, - these books will be released in the UK/US via Orbit in the coming year (the first being released in April). So how am i able to review this book then? Well its not because I've stolen an ARC or vandalised Celine Kiernan's house, but because this book (The Poison Throne) has been released (under O'Brien Press - an Irish publisher) in Ireland in 2008 and in Spain, Germany and Australia in 2009. 'The Poison Throne' tells the story of Wynter Moorhawke, daughter of Lord Protector of the King and best friend to both the Crown Prince (Alberon) and the illegitimate son (Razi). After returning with her father from the North after five years, the Kingdom and court of her homeland is completely changed and is being torn apart from the inside. Friends have become enemies, stable things have changed (i mean, cats don't even talk anymore!) and the court grows more and more dangerous day by day. I read this book in a night, as i couldn't put it down. Celine Kiernan is an excellent storyteller and certainly keeps the readers interest throughout the book. Although there are good overall elements to this book, I feel that Kiernan's strength really lies in the development and relationships of her characters. The Poison Throne's plot involves and focuses on court intrigue etc. but in my opinion it is a book about relationships - fathers and sons, fathers and daughters, friendship and loyalty. Therefore why i think this book works so well is due to Kiernans handling of the characters and their relationships. The book pulls you in through the characters experiences, emotions and thoughts - which Kiernan portrays very well - and leaves you wanting to know more. By the end of this book, I became quite attached to the characters (especially to Christopher!) and seriously didn't want it to end . So, I'm dying to read 'The Crowded Shadows' (2nd book, which is currently in Ireland only, lucky me) to follow these characters stories and to find out more about 'the bloody machine'. My favourite sections of the book, of course involved Christopher, who fast became my favourite character. I don't want to spoil the story but I absolutely loved the small moments between Wynter and himself, which happened in a very natural way and seemed very in touch with the characters. Can't wait (hopefully) to see how their relationship develops. I would also love to learn more though about the 'hinted at' feelings which Razi seems or used to have for Wynter, but i guess i'll have to wait and see. P.S. The cover in the above pic is the old irish cover. Check out Celine Kiernan's Blog for UK/US Orbit covers and News. I'm back! After dissappering from The Book Bundle I have returned to the lovely reviews. Long story short about the long break is that my computer got a virus. This virus caused my computer to kill itself. I had to order parts for a new computer and then build it, which is what I have been doing all this week. It feels good to be back now! I got an ARC for this book back in November and I've wanted to post a review ever since I finished, so here we go! Carly: She Was Sweet. Smart. Self-destructive. She knew the secrets of Brighton Day School's most priviledged students. Secrets that got her killed. Audrey: She's the reason Carly got tangled up with Brighton's fast crowd in the first place, and now she regrets it-especially since she's convinced the police have put the wrong person in jail. Audrey thinks the murderer is someone at Brighton and she wants Neily to help her find out who it is. As reluctant allies, Neily and Audrey dig into their shared past with Carly, her involvement with Brighton's dark goings-on comes to light. But figuring out how Carly and her killer fit into the twisted drama with force Audrey and Neily to face hard truths about themselves and the girl they couldn't save. When I first started reading Anna Jarzab's debut novel, All Unquiet Things, I thought I knew how it would end. From the get go I thought I had figured out who had killed Carly. I was wrong, and was never happier to be so. Jarzab kept putting twists and turns throughout the novel, making me think it was one person or another, until it all came together. I love a good murder mystery, and All Unquiet Things delievers just that. Jarzab's writing is also so unique that it will stand out from andy YA novels on the shelf. The voices of Neily and Audrey will draw you into the book and you will get engrossed in their world. until the very end. I only put it down once, but I had to pick it back up again because it was I wanted to know what happened next. The characters are so diverse and wonderful. They also sound like real teenagers, unlike some authors who make the teenagers in YA novels sound very cheesy and unrealistic. All Unquiet Things is a must read if you enjoy YA suspense novels. It's a beautifully woven mystery with believable and addicting characters. Jarzab has created an all around great read, and I cannot wait to see what she comes up with next. I give the book 9 out of 10 stars. syntax, correct grammar or current slang they often neglecting what the characters are actuallysaying. 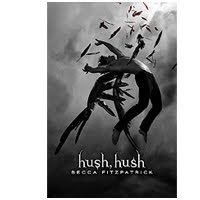 But never once while reading 'Hush, Hush'did I think to myself, "People don't talk like that," such is the case with so many other young adult books. Fitzpatrick knows how to write and it shows in her debut young adult novel. My apparent obsession about her use of words aside, the story is pretty good too. 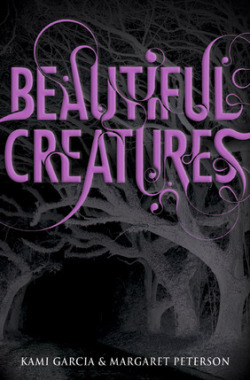 While it mirrors the "I want to kill/eat/otherwise maim you" romance of some other young adult novels out there, it at least uses the refreshing twist of angels instead of vampires/werewolves/ghosts. The story never seems trite, overdone or predictable. Even though it starts off with a new biology partner, the heroine's life is constantly in danger and the romance never seems to get off the ground, 'Hush, Hush' still feels like a completely original novel. I think its Fitzpatrick's talent for language that keeps it from falling into the black hole of YA Fantasy Look-A-Likes. When I finished reading 'Hush, Hush' I wondered if it would become a series and in keeping with the new young adult trend, it is. I'm not sure how I feel about this, because it seems like most of the Book 1's I've read could have stood alone, but a lot of authors decide to drag the world out into a diluted Xerox of itself until we eventually get bored and stop reading.Its hard to tell if an author is going to keep on churning out best sellers like Melissa Marr or if they're going to eventually spiral into self disillusion and then disappear, like Stephenie Meyer. However, I have high hopes for Becca Fitzpatrick, her ability to produce such an interesting and realistic world along with her talent for words are good indicators that she'll join the ranks of other great long time selling authors. Well, I've come out to live and work in a small hotel in the French Alps for the winter, and we've only just got wifi working, so I've been catching up on things like emailing my parents. Now, though, I'm ready to launch into some new reviews. What about the interviews? Weren't we promised more interviews? Yes, you were. That's another side effect of my move - with only getting internet when I sneaked on the office computer, I haven't been able to organise any author interviews or guest posts. Hopefully over the next week I can get something organised. I'll let you know. So, wait, this living abroad thing... is that going to affect what books you're reading and reviewing? Yes, it will. If I want english books, I'll have to get them all online, and I'm the kind of person who likes to browse. Luckily, my Dad just visited and brought a stack of older books with him, so I've got those to read. The other thing is that I don't have as much time to read now, because when I'm not working, I'm usually skiing, catching up on sleep, or being sociable. So, reviews might come slightly slower. Does that mean the end of the blog as we know it? Of course not! For starters, we have a great team here on the Book Bundle. Even if I'm not posting as much, the others will keep bringing you some great reviews of books new & old. This is a new year, it's a good time for new starts. One thing that I want to start this year is to aim for at least two or three posts on the blog a week. Some might be memes like In My Mailbox, but we should also have plenty of book reviews, too. I'm sorry for my absence the past few weeks, but I'm back, in the middle of a very good book, and looking forward to some excellent things that are coming out this year. What books are you looking forward to that are released this month? So I had the luxury of being able to take lots of baths this past week and so I was able to finish this book! "There were no surprises in Gatlin County. In a town with no surprises, one secret could change everything. " This book turned out to be pretty good. It was a bit slow in some areas, but otherwise picked up shortly after those slow spots. The main character Ethan meets Lena, who is new to a very small southern town. But from the moment they meet there is something between them that draws the two together and forms bonds beyond just the average friendship or teen romance. Only Lena's uncle turns out to be the town outcast that's rarely seen and lives in the rumored Haunted Mansion and everyone dislikes him and Lena, including Amma, Ethan's servant who is more like a family member who tells him he as to stay away. But as well all know, that just pushes the two of them together. While some of the characters were pretty stereotypical, including Amma and a few of the town members, it all fit very well into the book and brought it alive in a way. Lena's uncle turns out to be a very very interesting character that leaves you wanting to know more about him and the entire family. It especially leaves you still wanting to know what happened to Ethans mom because that is never fully answered. In general I would say this book deserves 9 stars! I can't wait for the sequel and hear there is supposed to be a movie, but I'm not sure I want to see it. I believe my son is getting ready for a nap, so please excuse such a short and rushed review. It's a good book though!